I was excited for the big wedding today for my bride! 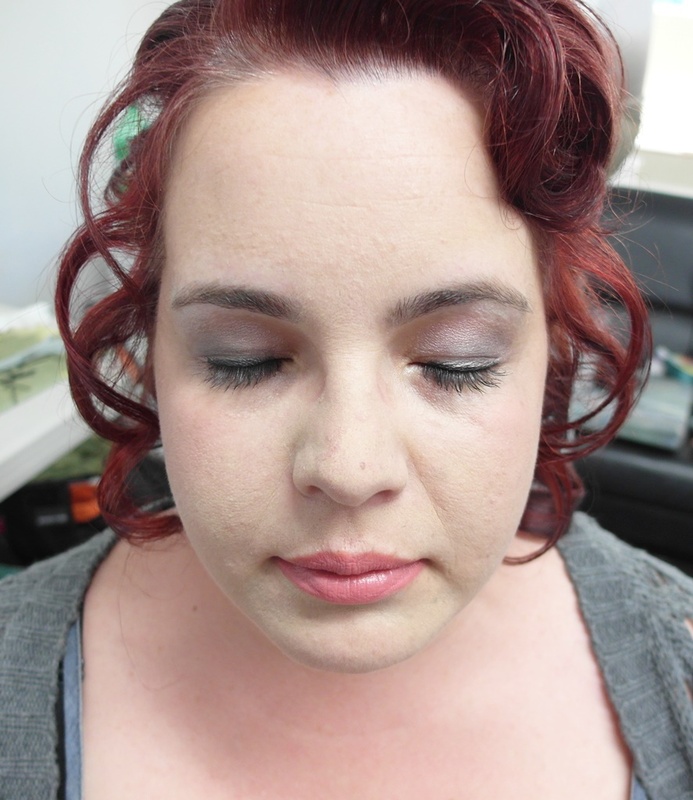 Today we were doing bridal makeup for the STAR plus her bridesmaids. Because of the time-constraint, my friend and I worked together to finish everyone. My first bridesmaid is Miss T.
She has lovely blue eyes that’s as crisp and clear as the sky! It’s nice blue that’s nicely complimented with beige/golden toned eye shadows. For most of the time, she usually uses light foundation and minimal colours on her face. I picked neutral and earthy eye colours so it doesn’t take away the beauty of her eyes. The layering only brings out the depth of her contour. She has fair complexion but easily spotted because of lighter skin tone. 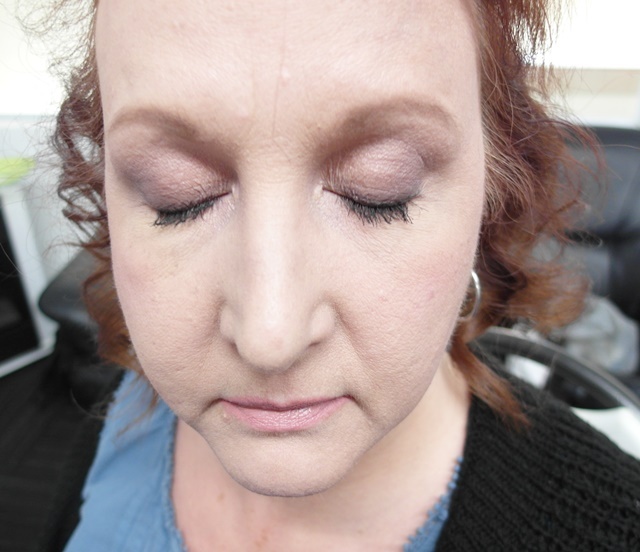 I used Kat Von D Lock-it Tattoo concealor for freckle coverage. 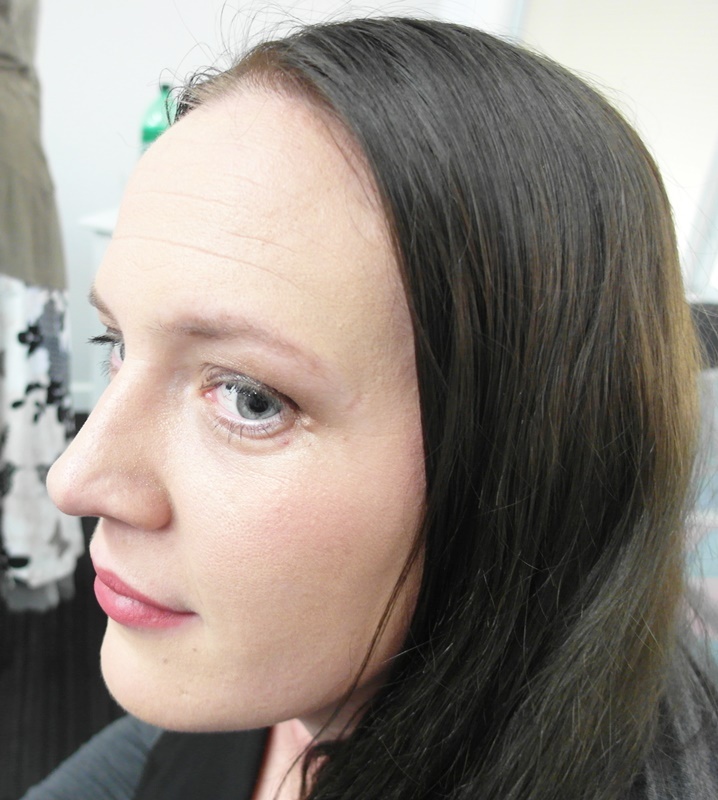 Then applied a layer of Make Up Forever Face & Body Foundation to create a natural sheen. She has normal skin type that’s well-balance so neither oily or dry (my dream skin type!) she does feel oily in summer times but that’s easily taken care of by an oil-controlling primer. I customized her lip colour to suit her skin tone and eyes. It is a mixture of pastel orange with a dash of cool pink. She enjoyed the makeup and loved the finish- yay!! 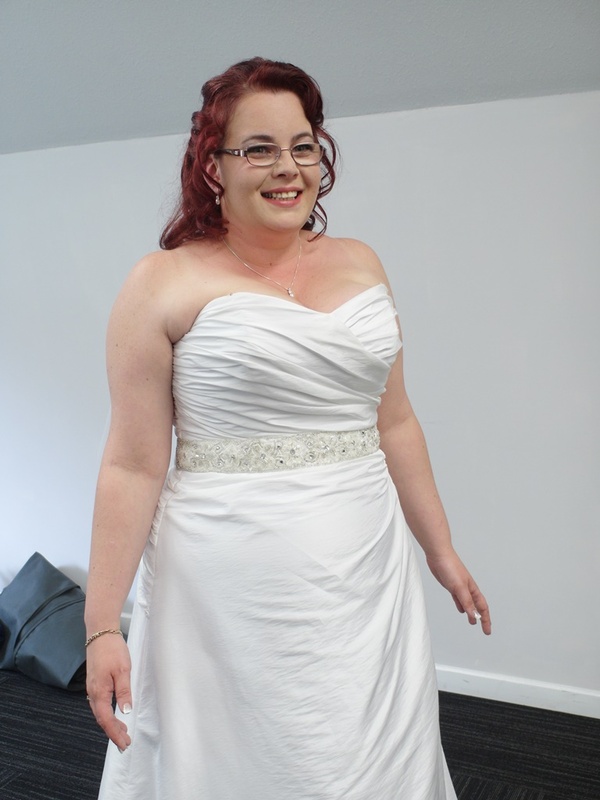 While my friend worked on another lady, I was looking after the bride’s aunt. She brought her own makeup tools and products; I was waiting for another bridesmaid to arrive so I had extra time on my hands- I offered to do the aunt’s makeup. Her favourite is the UD Naked 3 – which was introduced in the previous blog post. Rose gold is complimentary to her hair and eye colour. Her eyes are blue with a tint of green which was enhanced by the rose gold shadow colour. She does not use eye liner as she has sensitive eyes. Instead of using a separate liner, I use the darkest brown on Naked 3 palette to serve as the eyeliner. 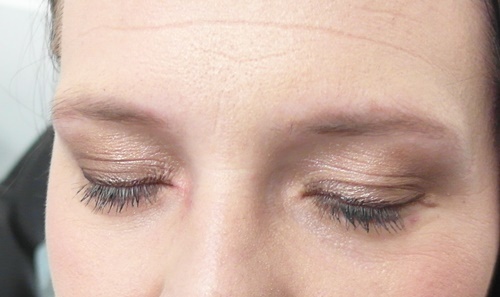 Then I blended the eyeliner colour upward from the lashline to create a mini-smokey eye effect. She brought her own lip colour and wanted to do her own lips so I had the chance to help other ladies. The bride came last after everyone. We were doing her makeup while the hairstylist was working on her hair. She just newly dyed her hair a fiery red which was different than the colour at the time of the consultation, so I suggested another colour for her lips to brighten up her complexion. The actual colour used was more tender than the one used at consultation (the original was a deeper coral-red) because of the new hair colour, the pinky-coral colour becomes more suiting and complimentary. 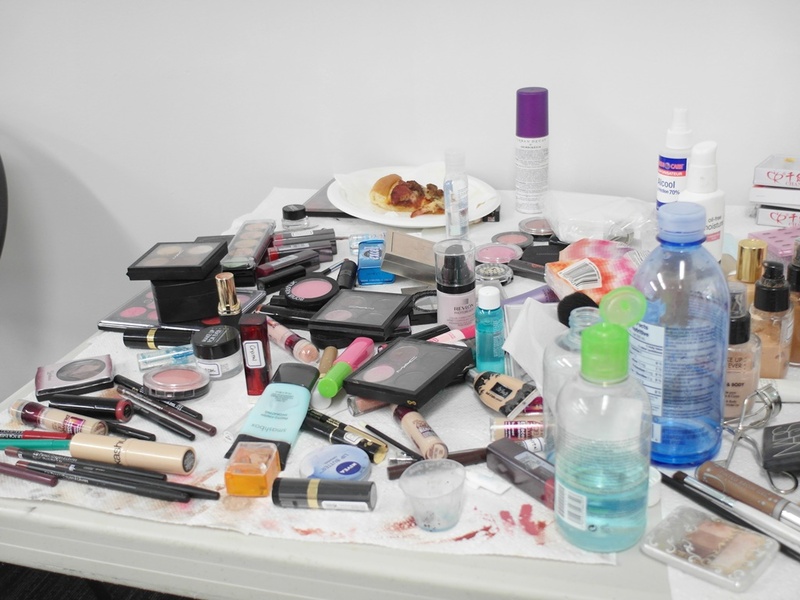 My personal philosophy: A makeup artist’s flexibility and versatility are keys to perfection. My friend finished the eye makeup while I did the base and selected the colour for her lips. After 45 minutes she was done! Her smile melted my heart instantly. She’s the most beautiful person ever! She was extremely friendly and easy-going. I am still waiting for more pictures (the ones in this post were taken in a haste LOL) so I will keep you guys posted. Love wedding makeup looks! Thanks for sharing! Gorgeous! Thank you ellesequations!! That’s great encouragement 🙂 love your website design- stylish and chic! Thanks for stopping by! Best of luck with your makeup adventures! Thank you!! Come visit anytime!